Scientists have made a breakthrough in understanding how mitochondria – the "powerhouses" of human cells – are made. Mitochondria, which exist within human cells but have their own DNA, need many different proteins to function – but the process of how they get these has never been imaged in detail. Now a study led by Dr Vicki Gold, of the University of Exeter, has shown that some ribosomes – the tiny factories of cells which produce proteins – are attached to mitochondria. 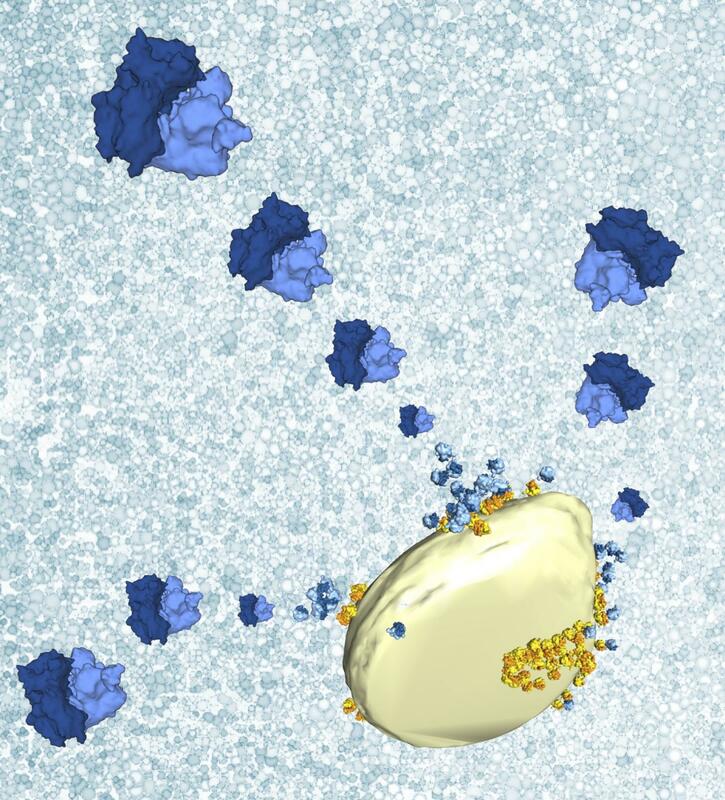 This can explain how proteins are pushed into mitochondria whilst they are being made. The findings open new avenues for studying protein targeting and mitochondrial dysfunction, which has been implicated in diseases including cancer and neurodegenerative disorders such as Parkinson's. "Proteins are responsible for nearly all cellular processes. The cell has to make a huge variety of proteins and target them to the precise location where they are needed to function," said Dr Gold, of Exeter's Living Systems Institute. "In the case of mitochondria, proteins have to cross the boundary of two membranes to get inside them. "We looked for – and were able to image at unprecedented detail – ribosomes attached to mitochondria." The images were taken using cutting-edge technology called cryo-electron microscopy. Dr Gold and her colleague Dr Bertram Daum have both come from Germany to set up a cryo-electron microscopy facility at the University of Exeter. Having made the latest discovery by studying healthy cells, Dr Gold now plans to see how the process works in unhealthy cells. "Mitochondria are the energy factories of the cell, so when they don't function properly it can lead to a huge range of health problems," she said. "In many cases these are age-related disorders like Parkinson's disease. "Our findings may help us understand these conditions better, which is an important step towards better treatments." Dr Gold, who began the research while at the Max Planck Institute of Biophysics in Frankfurt, Germany, worked with co-authors Piotr Chroscicki, Piotr Bragoszewski and Agnieszka Chacinska – all of the International Institute of Molecular and Cell Biology in Warsaw, Poland. The paper, published in the journal EMBO Reports, is entitled: "Visualization of cytosolic ribosomes on the surface of mitochondria by electron cryo?tomography" and will be featured on the front cover of the October issue.